Medications are administered for your comfort during the surgical procedure. The choices include intravenous sedation or general anesthesia. Intravenous sedation numbs the specific area of the surgery and the patient is often given IV sedation in combination with local anesthesia to help them relax during the surgery process. A general anesthesia may also be used during the rhinoplasty procedure, which puts the patient into a deep sleep. Your doctor will recommend the best medication for your specific needs. The incisions used for a rhinoplasty vary based on whether the procedure is open or closed. In an open rhinoplasty, the incisions are made across the columella, the stip of tissue that separates the nostrils. This procedure is generally considered more invasive and is reserved for major surgeries. A closed rhinoplasty involves hidden incisions inside the nose, and is used for smaller adjustments to the shape of the nose. Through these incisions, the skin that covers the nasal bones and cartilage is raised, allowing access to shape the structure of the nose. Throughout the procedure, your doctor may monitor certain vital signs like your breathing rate and blood pressure, to ensure your body is handling the procedure properly. These monitors are for the patient’s well-being and rarely anything to be worried about. 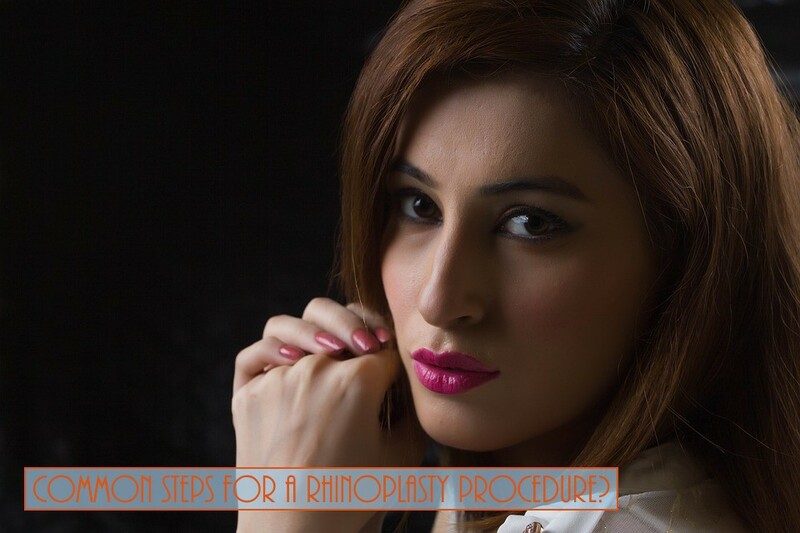 Once the incisions have been made, the doctor can perform the process of reshaping the nose in accordance to what was discussed with the patient prior to the surgery. A large nose may be reduced by removing bone or cartilage. Sometimes surgery may require the addition of cartilage, most commonly, the septum, the partition in the middle of the nose, is used for this purpose, and occasionally cartilage from the ear or rarely a section of rib cartilage can be used as well. If the septum is deviated, it can be straightened and the protrusions inside the nose can be reduced to improve breathing. Once the structure of the nose is sculpted to the desired shape, the doctor will close the incisions with little stitches. 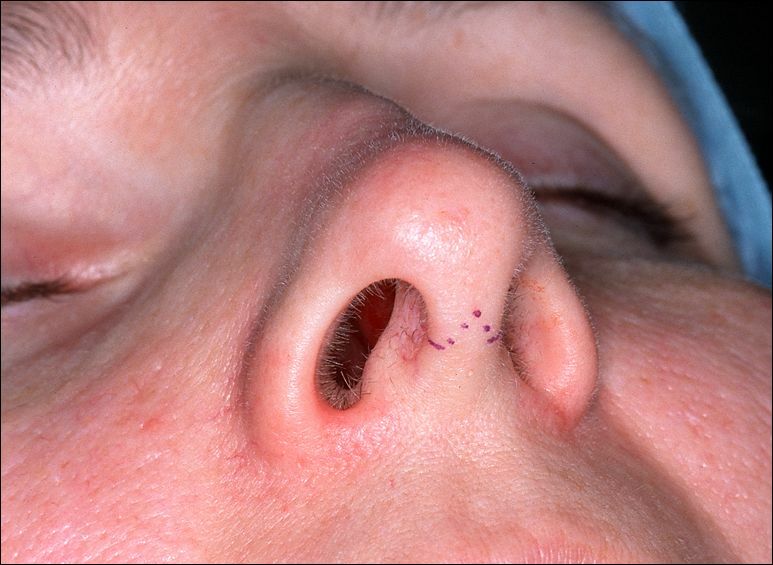 Additional incisions may be placed in the creases of the nostrils to alter their size. 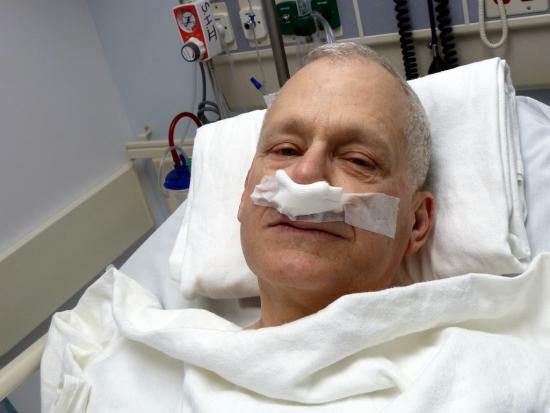 A splint is usualy applied to keep the nose in place as it heals, and to protect it from accidental trauma, some patients might also have internal splints or tubes as well. The patient is then taken to a recovery area to be monitored for a short period of time after surgery, to ensure the patient's vitals stay regulated until it's safe to go home. Some patients remain in the hospital overnight for observation, while most patients are allowed to go home after surgery within a few hours. Patients should have been instructed by their doctor before the surgery, to have someone ready to pick them up after the short recovery period afterwards. You will not be able to drive yourself home after undergoing a rhinoplasty procedure, because you will likely feel nauseous, tired, and uncomfortable immediately after surgery. Patients should expect to experience swelling, bruising, bleeding, and a light headache for the first few days following their procedure. Pain medication will be prescribed by your doctor to help minimize the discomfort after your surgery. Any sutures and packing will be removed during your post-operative examination, which usually takes place seven to ten days after the surgery. Strenuous activity should be avoided for a minimum of two weeks. Patients should also refrain from wearing cosmetics for up to two weeks, as to not disturb the skin around the affected area. Eyeglasses should not be worn for up to six weeks following your procedure, to protect your nose from deviations in the nasal bone resulting in needing a revision rhinoplasty. The healing process after a rhinoplasty takes some time, some patients may not see the full benefits of the procedure for up to one year. During this time you will notice gradual changes in the appearance of your nose structure. These are the most common steps when performing a Rhinoplasty procedure, and not all doctors follow these guidelines due to their own methods of practice. We hope this helps shed a little light on what to expect when going through with this procedure. Joon Young Choi, M.D., Rhinoplasty Surgery Steps.